NEW!, the AWWA Sky Whale 3D model available, enjoy it! 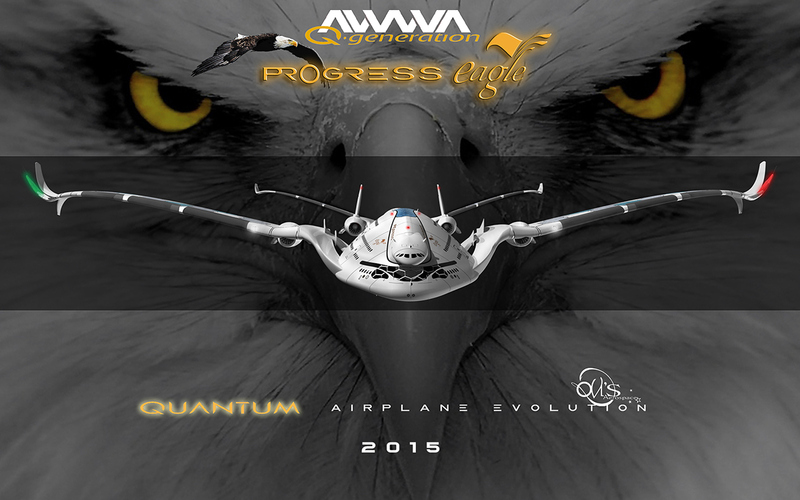 The AWWA·QG “Progress Eagle” concept plane was “born” like his brother the AWWA·VA “Sky Whale” with the same airplane’s concept, designed for improving the physical characteristics of the commercial airplane and reducing the environmental impact, in the case of the “Progress Eagle” using the future advanced technologies of the 21st century, based in Quantum proprieties (latest advances in many different ambits like, nanoparticles-properties & applications, knowledge about subatomic particles). 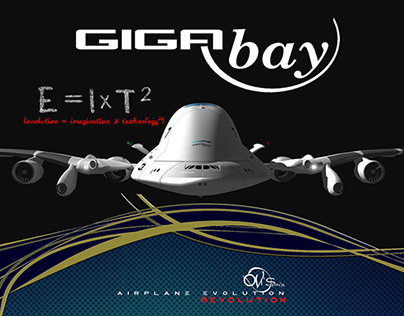 These concepts are based on the idea of thinking about the future “Super Jets” as if they were complex mathematical equations, with its constant and variable values which ever have a fixed result on a “safe transport”, with high performance and totally environment friendly. 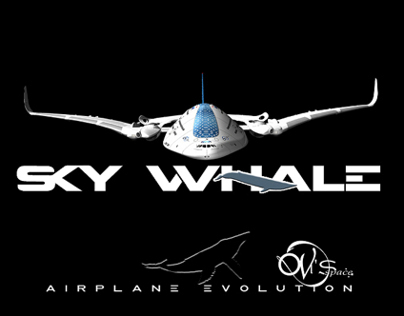 The “Sky Whale” was designed for a closer future, because the technology in which it is based could be feasible to produce in ten years’ time or less, is within our reach! Furthermore, the “Progress Eagle” is based in the technology beyond 2030 with ideas from Quantum Mechanics, if we consider the evolution of current technology and future progress in uses of theoretical physics solutions. Today we can find these technologies in the most advanced laboratories around the world (Universities, Private companies, Government installations,...) and in the theories of the best Scientifics. For these reasons, the innovations that the “Progress Eagle” presents could be available in fifteen years’ time. 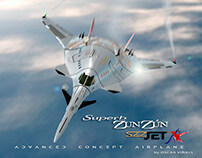 The most relevant aspects about this “Super Jet” would have a closer relation with Quantum Mechanics, we can simplify the airplane concept like a “Mega” energy’s particle with special specifications more orthodox than we can found in today’s physics. Self-sufficient in energy in a very large value, with zero contaminant emissions and at the same time an advanced tool to “clear” the atmosphere capturing non wishes particles that altered the good balance of our ecosystem, like the excess of CO2. 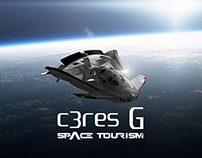 With innovative shapes and sizes (tested with CFD software in order to know its feasibility), three passenger’s decks and a special cockpit located on the second floor with panoramic views that allow the pilots to have a direct reference’s views up to 70% of the airplane. Equipped with Smart & Self –repairing skin’s wings, composed by carbon nanotube & carbon fibers, meta-materials in hexagonal pattern on the surface and a hollow endoskeleton in an ultra-lightweight beehive-shaped of titanium and graphene; using the graphene material like a micro-supercapacitors (fast electrical storage that can charge and discharge a hundred to a thousand times faster than standard batteries) and as a reinforce of inside’s wing structure. Triple Winglets, an evolution of the double winglets that some airliners are using now, with the current blended winglet on top side and the ventral strake. The winglets of the “Progress Eagle” could be composed with two winglets on top (between conventional blended and elliptical winglet), everyone with a different angle and orientation and one ventral; reducing substantially the drag and increasing the sustentation (more lift with less thrust), following tests carried out by computational fluid dynamics software (CFD). The geometry of the wings is similar to a double arrow structure, and the section that joins the central fuselage’s part with the wings, has a special design to redirect the “front” air flow and profit it to generate electrical energy with a Nano-Kinetic System (Nanowires), and to “feed” the rear Wind Generator, the CO2 system cleaner and the Hydrogen system generator (see the schemes). 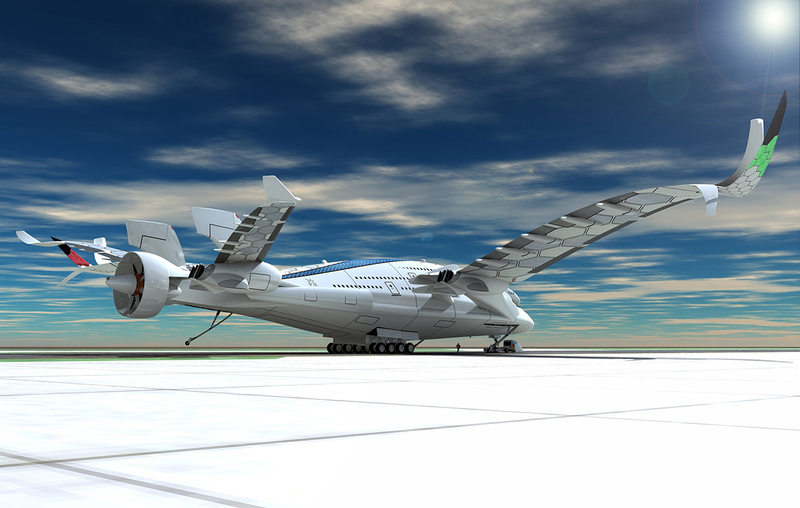 The AWWA·QG “Progress Eagle” could be equipped with “big” electric superconductive engines, with the same thrust like a powerful fuel turbofan engine. 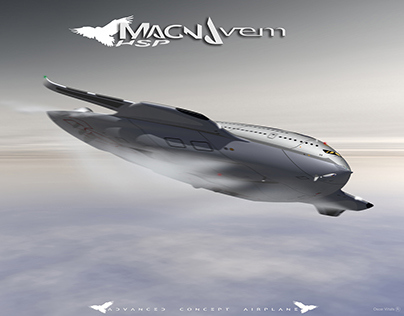 Six engines, one of which is a mixed engine (wind generator/electric engine); the airplane could generate all the necessary energy to feed its superconductive engines (only will need “external” Hydrogen fuel to start –engines & TLMA system- and in specifics moments in the fly); and for the principal systems and subsystems. 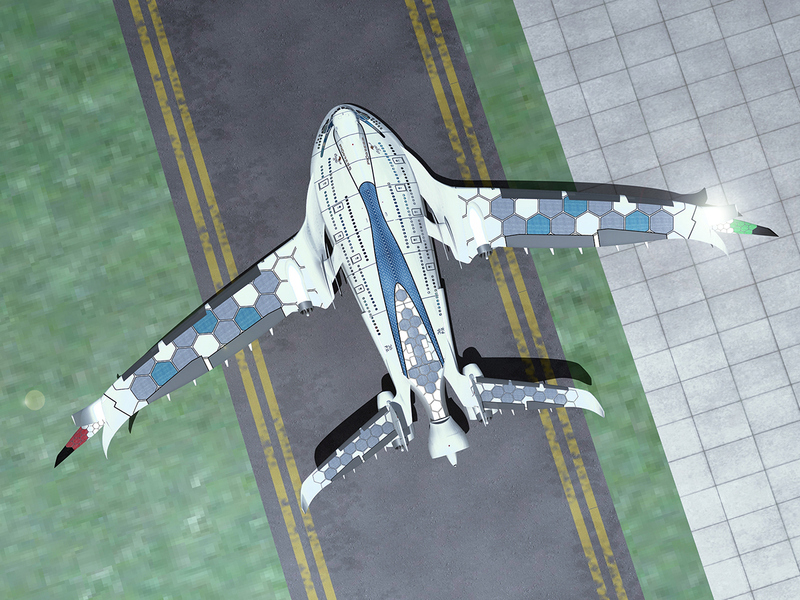 At the same time it could generate an extra energy that could be storage in the down side of the plane (on the airplane’s cargo bay) to be collected with special electrical storage trucks in the airports, to use after in the same airport or for industries, homes or other electric vehicles. How is the AWWA·QG “Progress Eagle”? What would it do? & How it works ? · Noiseless in a 75% more than current planes. 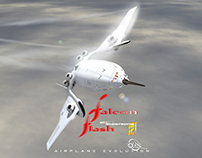 · Hydrogen Fuel combustible, only 30% of all airplane’s energy. · Nano-Kinetic (Nanowires) system powered, Quantum solar dot cells (CQD) powered, Radio frequency & Electromagnetic atmosphere’s waves power-harvesting device system powered, Hybrid solar cells (in the airplane’s ceiling with hexagonal pattern inside a glass structure and like a part of the fuselage, that allows the passengers of the third deck have amazing views of the sky ) and finally Thermoelectric system powered. Some of these systems have “the objective”, to capture the maximum rate of energy from electromagnetic spectrum. These technologies cover a surface of about 463 m2 over the airplane’ structure. · Three decks with a capacity for 800 passengers (basic configuration) with very comfortable “space”. · The cockpit is located on the second deck with a special crewmember’s room with beds, coffee office and work’s room. 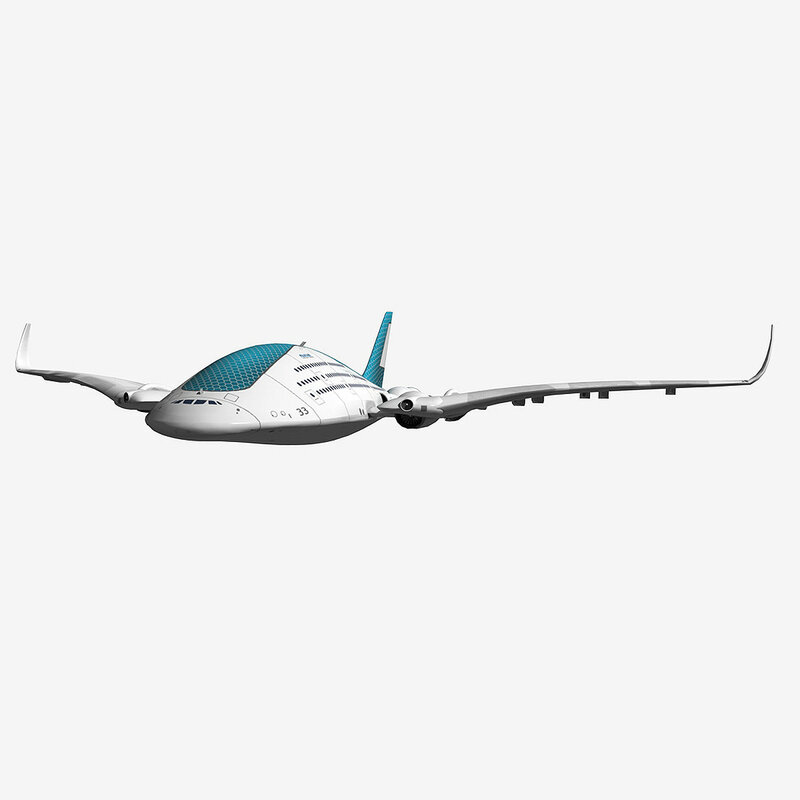 · 96 meters of wingspan (tip to tip) with the possibility to fold a section of these wings when the plane is in the airport in order to reduce the wingspan size to fulfill with the requirements about international airports . · Triple winglets system, one of these electroluminescent (middle) and built with Smart materials that could adapt its “blended angle”. 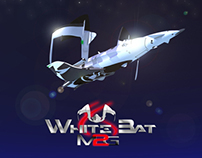 · Battery storage integrated in the structure’s wings and in the cargo bay’s plane, in order to keep the airplane’s masses on the best balance. · Ultra slim and lightweight wings in double arrow geometry with “special devices”. · CO2 cleaner system on the rear part (based on an original concept from Lenfest Center for Sustainable Energy at Columbia University's Earth Institute). 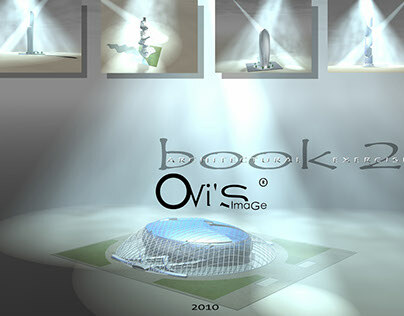 · Could produce Hydrogen from H2O in the atmosphere to refuel the tanks. · Built with the future materials, based in fiber carbon, graphene, ceramic & composite materials, aluminum alloys, titanium, self-healing skin with meta-materials, shape-memory alloy (SMA materials), optic fiber cabling, perovskite crystals & PbS nanocrystals… and more. · Extra landing gears, two in front side and one in rear side to keep the airplane secured in the maneuvers of take-off and landing. Special electric energy storage's truck could collect the leftover energy. · Wings’ structure: the surface is composed by removable Hexagonal tiles of different types which produce energy with hundreds of thousands of solar & radio wave collectors (harvesters) with a slim thickness, ultra resistant & flexible; the others Hexagonal patterns are fixed and are part of the basic wing’ structure. Between Hexagonal patterns, there are joints of fiber carbon (black color), capable to resist deformations with changes of pressure & temperature in order to keep safe the wing’ structure. Inside the wings there is an endoskeleton (structure/”battery” storage system), that together fixes surface’s Hexagonal patterns are the basic structure of the wings. Break-away wing attachments to dissipate energy and protect the passenger cabin in the event of a crash. 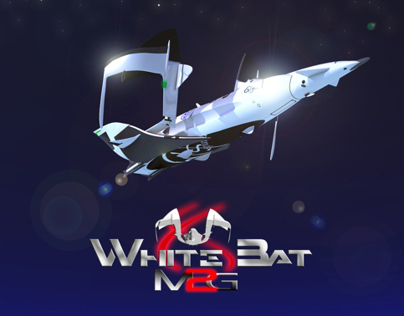 The “break-away” system, is just to reduce the kinetic & inertial energy in a hypothetic crash, because the wings are ejected by a system located between fuselage and wings (front part), it works with an “explosive” induced battery storage’ structure (graphene structure collapse) reaction. 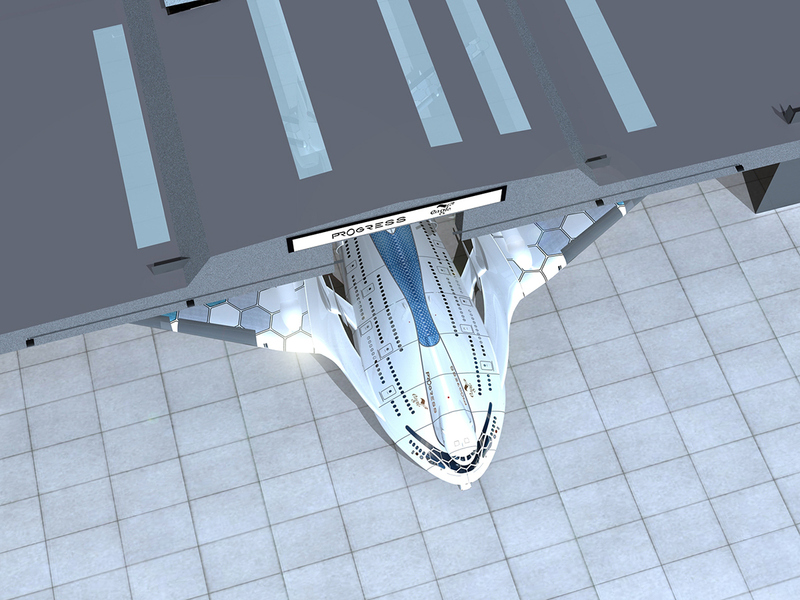 · The fly: when the Progress Eagle takes off, the six engines are powered with Hydrogen fuel energy to obtain a powerful thrust and when the airplane reaches a “good” altitude and speed, the rear central screw engines are automatically stopped, the air intake diffuser controls the air flow to keep safe the aerodynamics and reduce the drag. The rear wind generator can function at high speed regulating the access of airflow; the airplane flies with its self generated electrical power, with… wind, heat, kinetic, solar & radio waves. In the maneuver of approximation and landing the six engines turn on and use the batteries’ airplane power. 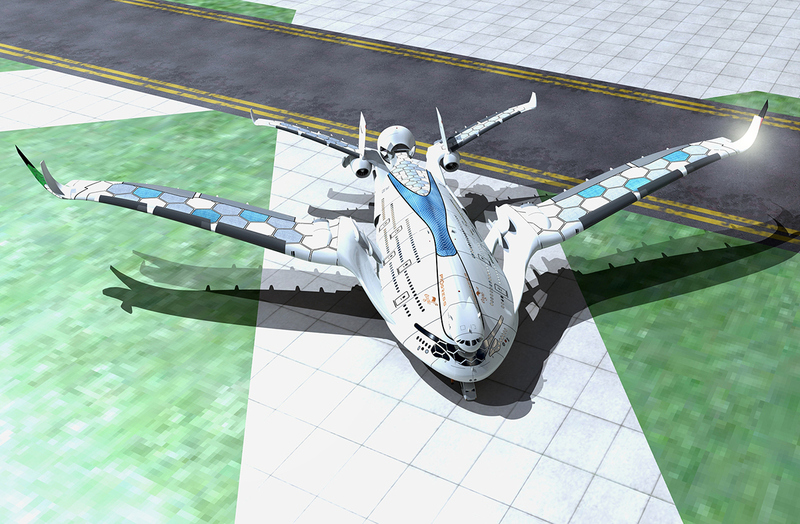 · Four Superconductive Turbofans Engines, electrically powered and a big mixture rear engine with two propeller engines, one of which capable to be used like a powerful wind generator. The rear mixture engine has an adjustable intake air system to keep a good aerodynamics at high speed. · TLMA system (take-off & landing mechanical assistant) to assist the airplane in the maneuvers of landing and take-off reducing the distance of the track. The four engines on the wings and rear horizontal stabilizer have inside, a system similar a “bypass” powered by hydrogen that produce an extra down thrust to “feed” the “semi VTOL system” (TLMA) in order to keep the thrust of principal engine (core) at maximum performance.
. A New travel class, the Pilot’s class located on the front of the airplane with awesome views and latest technologic devices (virtual windows, panoramic cinema, wider seats, 3D screens,...). · It could have a seating capacity for approx. 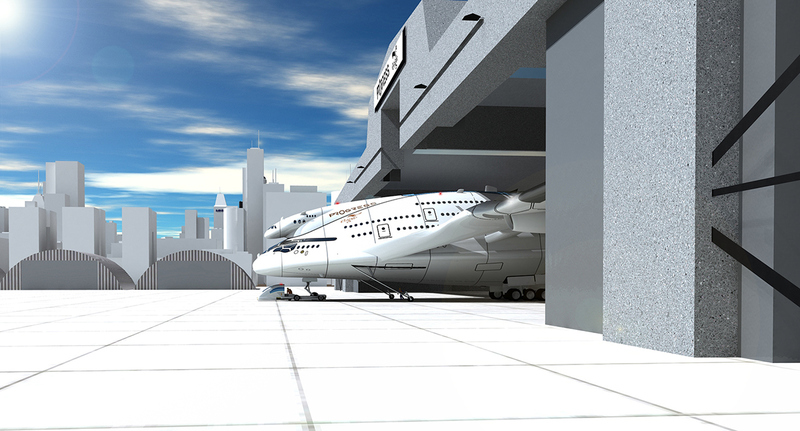 800 passengers (basic configuration), allocated in three decks or floors; 1rst Class on top with “sky views” and all conceivable luxuries for a trip in an airplane like this, Business Class in the middle floor with ample seats & “sky views”, a New travel class called Pilot’s Class, on the front of airplane with all imaginable technology devices & best services, all with the sensation and views of an air pilot. And last, a very comfortable Tourist Class with all the space to have a pleasant flight. We are surrounded by invisible energy without taking advantage, composed of elementary and subatomic particles (these last non-target by "simple" systems, for now), energies that overlap and intertwine at different levels. The Progress Eagle’s objective is to capture and convert into energy the particle that we known as electron and having quantum-mechanical properties of both particles and waves (Louis de Broglie), so that can collide with other particles and can be as light diffracted. This duality is demonstrated in a better way in experiments because of its negligible mass. Currently it is considered that the duality’s wave-particle is a "concept of quantum mechanics, according to there is no fundamental difference between particles and waves: particles can behave as waves and vice versa." The relationship between these variables was established by the French physicist Louis de Broglie. What is “One Flight” cruise? A Travel around the world without scales, approximately 41,000 km and 38 hours in an airplane with all imaginable comforts, like in a Luxury cruise. 300 passengers that could enjoy of Luxury suites, individual beds, movie theater, casino, fancy restaurant, special spa, amazing views, and more... . Thanks to three special satellites in low orbit over the Earth and a global network of special radio antennas, the airplane would get the necessary energy to do a trip around the World with a start point in any of the most important cities of the World and return at this same point, after completing an amazing route, flying over many countries and enjoying of many different wonderful views (mountains, lakes, deserts, rivers, cities and more...). The satellites’ network, could transmit energy to the “Progress Eagle” in all time travel through laser beams (first, the satellite captures the Sun light and converts it into electric power, and after , into a powerful Laser beam). 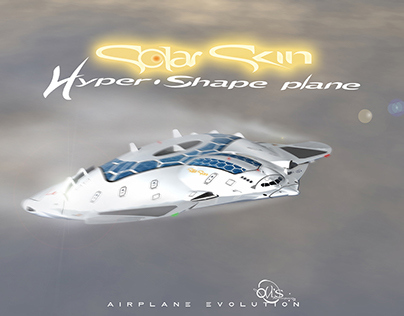 The airplane with its systems to harvest the “solar power” could use it for its engines. The radio antennas’ network, could provide the airplane with electric energy through radio & microwave “packet‘s beams” at high frequency (the radio/microwaves do not affect the passengers’ health, because the structure’s plane has a powerful shield and neither affects birds’ health because are not dangerous frequency ). Winking at Sci-Fi movies. "Quantum King"
Space Tourism Team, "GIGABay" & "Ceres G"